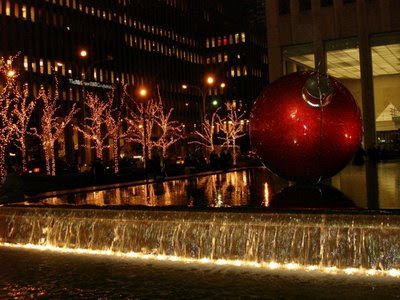 This past weekend, my husband and I took an evening outing to the 'festive holiday' parts of New York City. 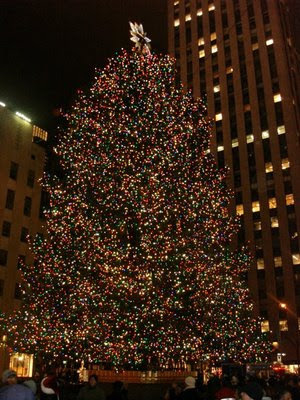 Rockefeller Center, to check out the tree and lights. 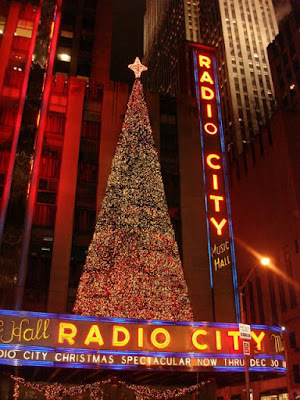 Radio City, to watch the tourists emerge from shiny yellow cabs and crowd themselves into the 8pm show of the Radio City Christmas Show. And the we walked to Bryant Park to watch the herds of evening ice skaters tumble and giggle as they glided across the crowded white chalky ice. We had planned to join in, but decided to come back on a weeknight and avoid the crowd. I had one question in mind to answer: How is the holiday spirit holding up this season? I was pleasantly surprised by what I found. Cheerful couples holding hands. 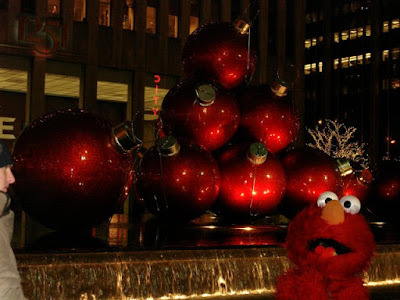 Tourists taking photos with the wandering troupes of Holiday Elmo's and Santa Clause characters. Smiling kids with wide eyes and rosy faces awe struck by the endless array of starlight and rainbow-colored lights twinkling; wrapped around proud holiday trees and strung across once corporate-seeming gray cement buildings. Everyone seemed to be cupping a warm latte, tea or cocoa (Starbucks of course) as they braved the chilly weather- not letting it keep them inside. Lately, all I watch on TV is bad news. And all I read are crummy headlines crowding the front page of the newspaper (or nypost.com, haven't read a paper in ages). Yet even amidst the dreariness, I was greeted by a warm front of cheery faces and optimistic outlooks from the strollers this holiday night. Holiday Spirit report direct from Rockefeller Center NYC: Alive and well. Cheerful and perky with just a chance of swampy clouds hovering over the holiday lights. Those with their eyes open, will be able to find some cheer. Final word: You make your own holiday memories. Make sure you make some happy ones.